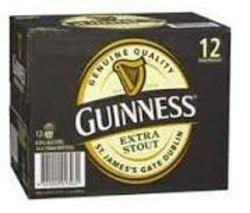 Brewed by Guinness in Ireland. Enjoy the smooth and creamy taste of Draught Guinness at home. For best results chill for at least 3 hours. Pour the bottle in one smooth action into a glass, sit back and watch for the creamy head to appear, and enjoy a perfect glass of Draught Guinness.